It is a great way to dress up and personalize a box of Sweethearts conversation hearts. 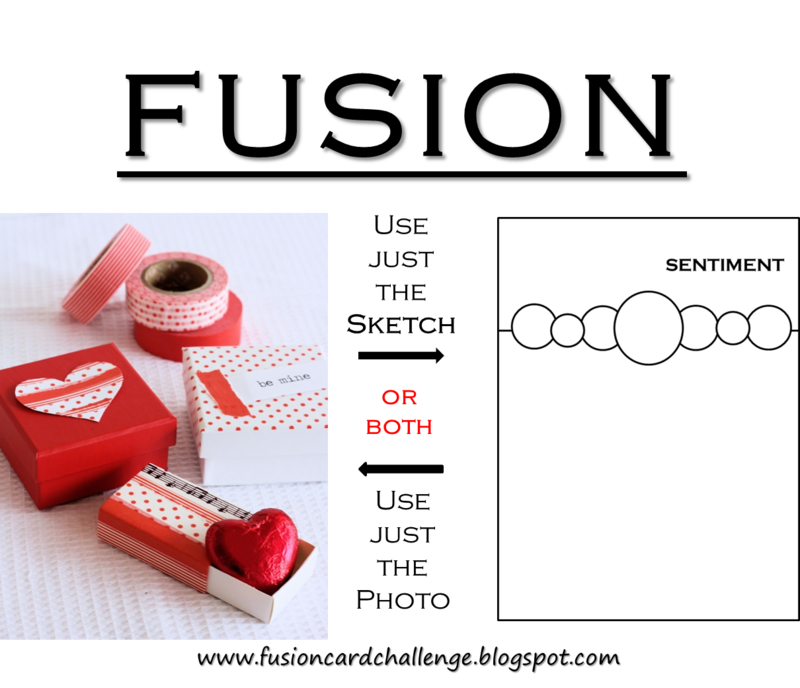 I chose the photo as my inspiration ... Valentine, heart and box. My project is a Valentine, I made a heart embellishment and covered a box of conversation hearts. I used the faux wood technique to make my sleeve look like a tree trunk. Made my own embellishment (heart) by punching out a heart of white card, colored with Copics and covered with Glossy Accents. I do have glue dots at the top and bottom of the box holding the sleeve on. I sponged color onto the green scallop circle using Tim Holtz ink and blender tool. 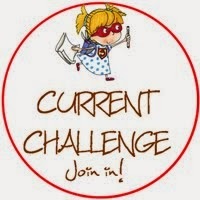 I made my own sentiment, cut it up and popped it up. What a creative cover Lisa! love your home made wood grain and that cute owl! so cute and so clever, lisa! Aw! this is lovely and what a great idea, love the wood effect too. Thanks for the lovely comment on my card. Wow. 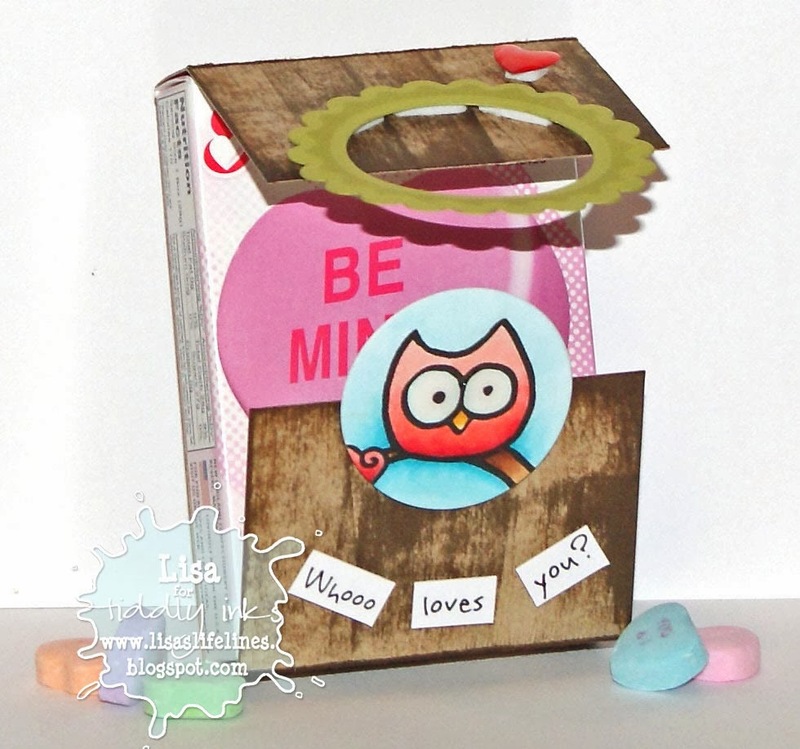 This is such a creative take on the challenge...love the cute box you created and how you enlarged the sweet owl. This one really stood out to me as I scanned the thumbnails in the gallery! Well done! This is WAY too cute. 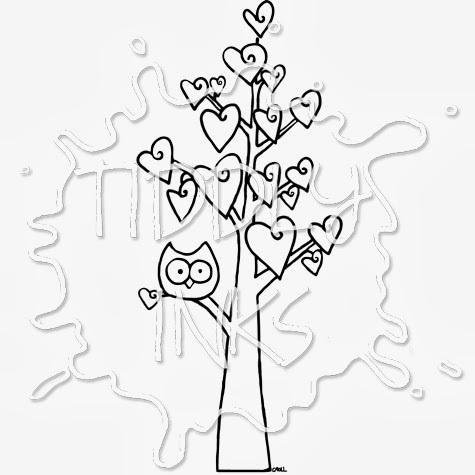 Love that owl!